Welcome to the Bard of Avon: Shakespeare in Stratford-upon-Avon. This site is my personal guide to Stratford-upon-Avon, Shakespeare, theatre. Because it is a personal and non-commercial site, I have impartially included almost all places of interest, hotels, guest houses (Bed and Breakfasts), Youth Hostels, restaurants, pubs, tea rooms, take away shops, grocery shops, night clubs in and around Stratford-upon-Avon with unbiased personal rates. You can also read and review places of interest, hotels, guest houses, hostels, restaurants, and so on in the polls. At the moment, it is the only Stratford site which includes all, as my site is non-profit. It is also the only complete bilingual site in English and Japanese! There is also a Japanese lesson section because I am a Japanese and I have been teaching Japanese for last four and half years. I love teaching Japanese, too! My website has won the Cool Site Award from the Open Directory Project! I was surprised by the award by myself since many major search engines use its database, such as Google Directory, Netscape, Lycos, HotBot, AOL, MSN, and so on. So, it is a great honour for me as well as a great surprise. The present time and temperature in Stratford is . I have wanted to have my own homepage on my interests and this homepage is miscellanies of my interests. 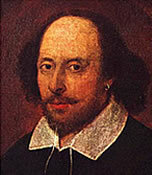 I love Shakespeare, English theatre and Stratford-upon-Avon. Apart from Shakespeare and English theatre, I have also wanted to introduce Konnyaku to western countries. Konnyaku is a wonderful food and yet it is completely unknown outside of Asia which is a great pity. Probably, Konnyaku and my healthy diet are the main reasons why I am slim. So, if you like eating and wish to keep being slim, why not learn Konnyaku? Konnyaku is not only extremely low in calories and has no fat but also it is wonderful in helping maintaining our health. It is an alkaline food and is full of dietary fibre and mineral. It prevents bowel cancer and haemorrhoids. It normalises the level of sugar in the blood and prevents diabetes. It even normalises the cholesterol level and high blood pressure. If you are interested in health and weight control, please click and explore the world of Konnyaku. If you are planning to visit Stratford-upon-Avon, please explore my personal Stratford-upon-Avon guide and make the most of your visit. Hope my website will help you a little bit to have a great time in Stratford. I love this town. It is small, quiet and above all, theatre is here!!!!! I hope you will enjoy your visit and hope you will visit my homepage again, as I will add more pages between my studies.